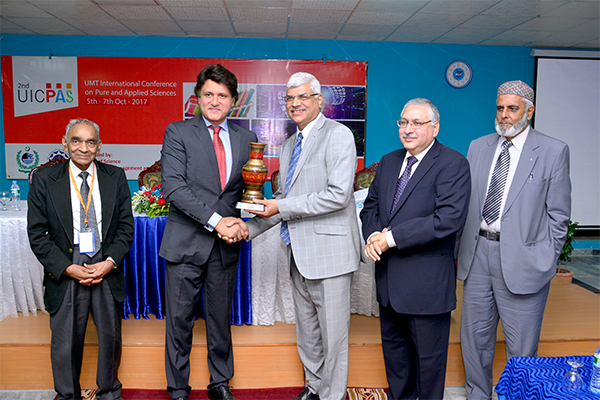 Welcoming the conference participants and foreign guests, Rector UMT Dr Muhammad Aslam said that the varsity through collaborative research with its international counterparts would benefit from it and the current initiative was a giant step in that direction. He said the secret of Pakistan’s development lies in scientific research and there is no any other way out to make headway. 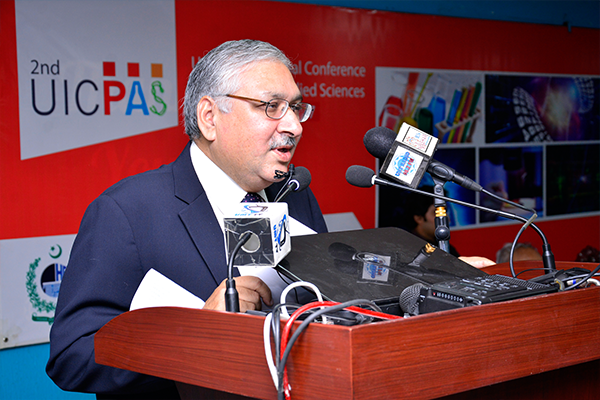 Director General UMT Abid H K Shirwani also expressed his views. He said it was a wonderful opportunity that a number of scholars and students have gathered at one platform to share their latest research and work out new ideas. 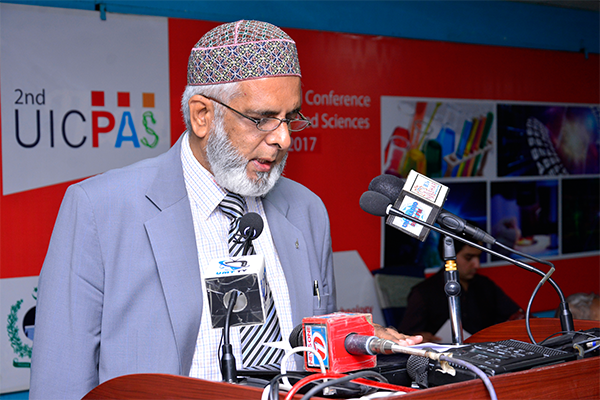 He said UMT is rapidly developing the culture of scientific research and already a good number of the faculty members have received grants to carry out scientific experiments. 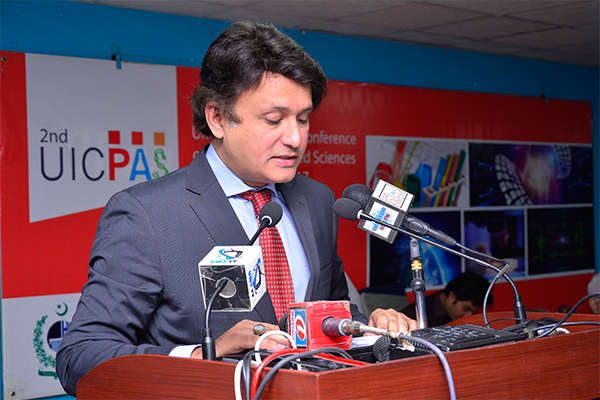 Dr Mohammad Arfin Khan Lodhi, Department of Physics, Texas Tech University, USA highlighted the Conference Theme, ‘Science Merging into the Unity of Sciences’ whereas the poster session and keynote speech were chaired by Dr Muhammad Azhar Iqbal. 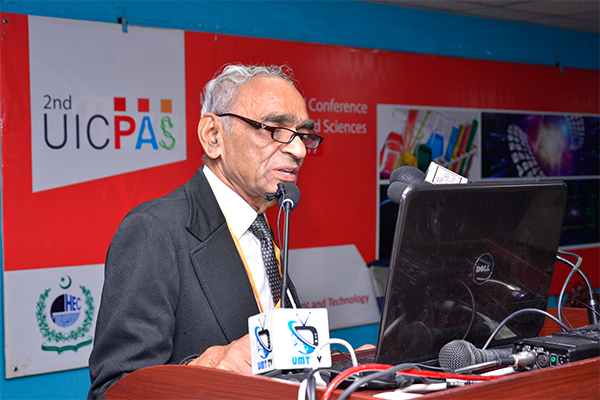 During the 3-day event, special emphasis will be placed on promoting interaction between the theoretical, experimental, and applied communities, so that a high level exchange in new and emerging areas within chemistry, physics, mathematics, bio sciences and environmental sciences can be achieved. 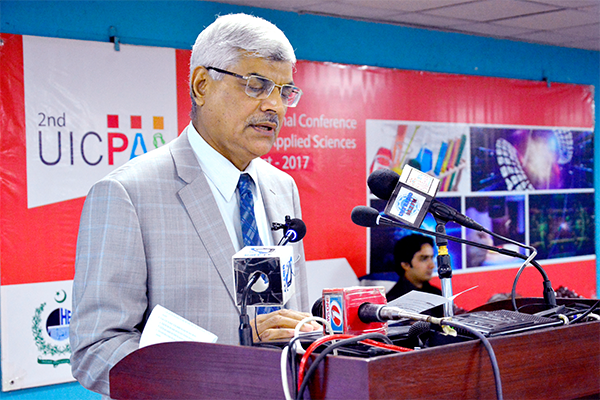 As many as 25 national and international speakers have registered from all over the world for the conference and more than 200 students from Pakistani and six other countries’ universities showed up for the Oral and Poster presentations.